Embracing a sociocultural perspective on human cognition and employing an array of methodological tools for data collection and analysis, this volume documents the complexities of second language teachers’ professional development in diverse L2 teacher education programs around the world, including Asia, South America, Europe, and North America, and traces that development both over time and within the broader cultural, historical and institutional settings and circumstances of teachers’ work. This systematic examination of teacher professional development illuminates in multiple ways the discursive practices that shape teachers’ knowing, thinking, and doing and provides a window into how alternative mediational means can create opportunities for teachers to move toward more theoretically and pedagogically sound instructional practices within the settings and circumstances of their work. 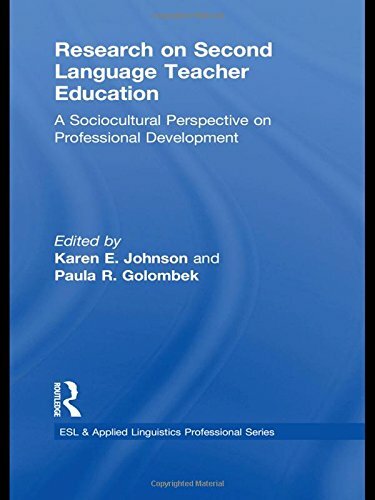 The chapters represent both native and nonnative English speaking pre-service and in-service L2 teachers at all levels from K-12 through higher education, and examine significant challenges that are present in L2 teacher education programs. View More In Science for Kids.